I have been getting asked this question a lot lately. 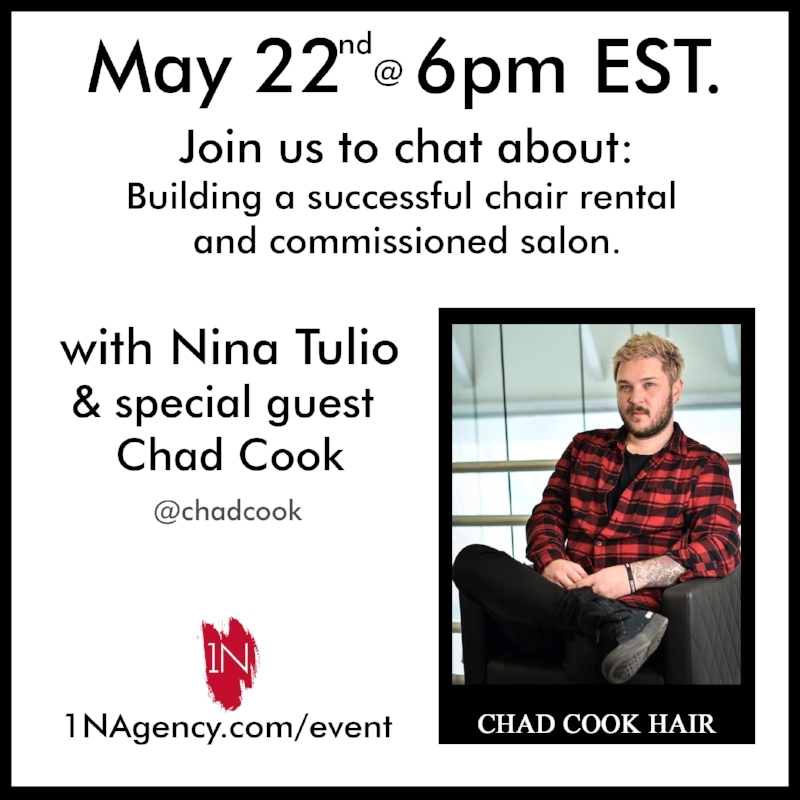 Can you run a succesful chair rental salon and commissioned salon under one roof. I have always been quite hesitant about suggesting this. Can it work? Absolutely! That is why I wanted to introduce to you my guest speaker for this very topic. Meet Chad Cook. Owner of Chad Cook Salon in Marina Del Ray, CA. Chad has been working behind the chair for the last 10 years. "I got into this industry fresh out of High School and quickly fell in love with it." Now he is the owner of his very first own salon with six talented, and thriving stylists! His approach to the way he grows his stylists and his business is so very interesting to me. I am not going to share too much because I want him to share all of his ideas with you himself. However, after a year in business, this business model of combining the two compensation structures has served him very well. You guys have to tune in LIVE to hear all of his tips on how to make this work. Chad will also be answering your questions live during the last 15 minutes of our interview. Be sure to sign up below. Space is only limited to 100 people. See you on May 22nd at 6PM EST!